I stopped at Heritage Square and the Rosson House briefly after dropping Tomasin at the airport. 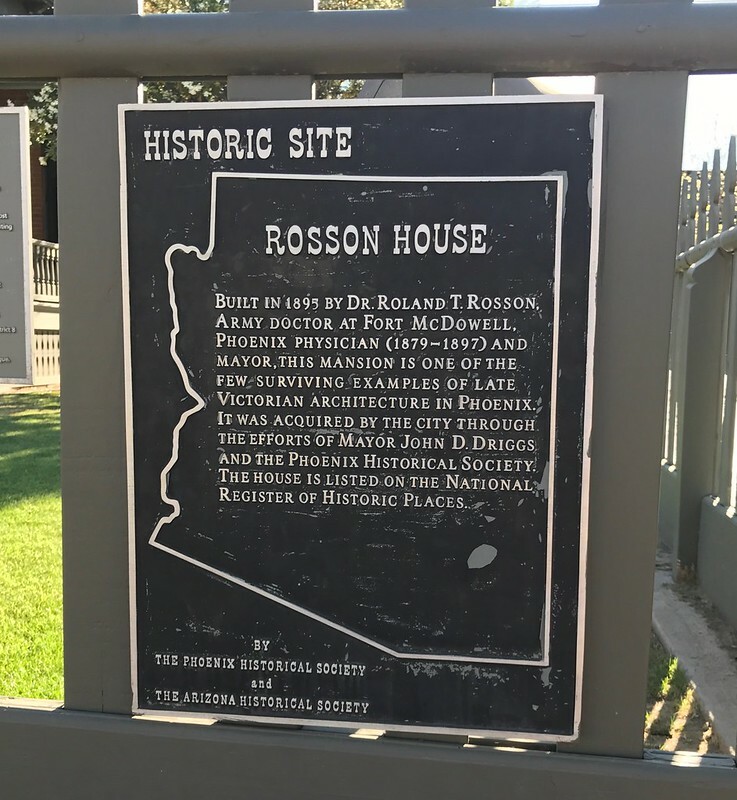 This historic place is located at 139 North 6th Street, Phoenix, Phoenix in the county of Maricopa, Arizona. The GPS coordinates for this location are N 33° 27.001 W 112° 03.962. Built in 1895 by Dr. Roland T. Rosson, Army doctor at Fort McDowell. Phoenix physician (1879-1892) and mayor. 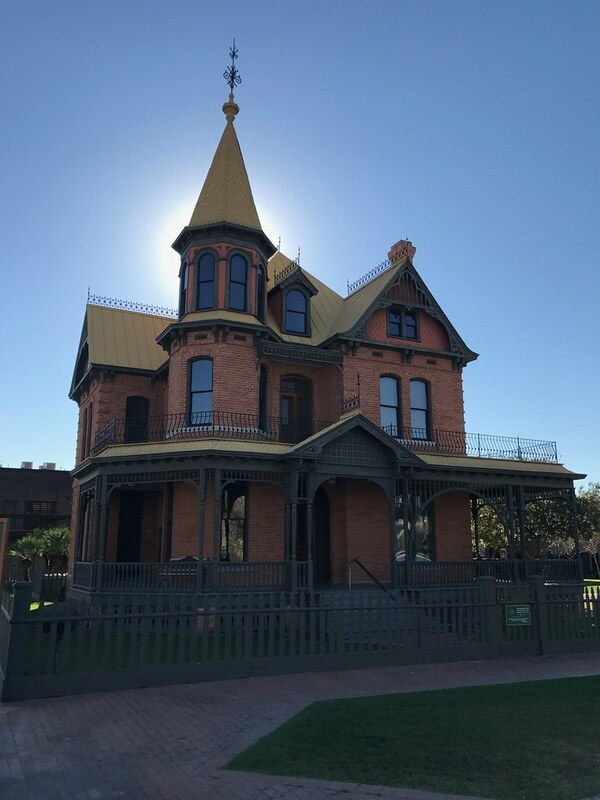 This mansion is one of the few surviving examples of late Victorian architecture in Phoenix. 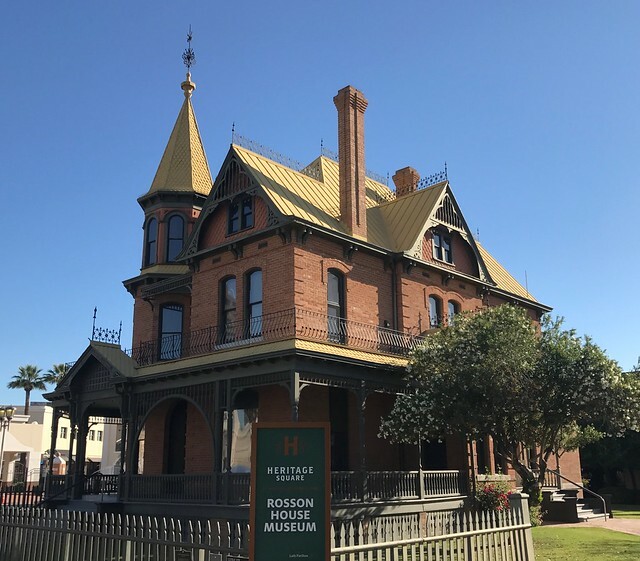 It was acquired by the city through the efforts of Mayor John D. Driggs and the Phoenix Historical Society. The house is listed on the National Register of Historic Places.